A true legacy of brutality. The Misfits are undeniably one of the single-most important punk rock bands of all time. They innovated the horror punk subgenre during the punk movement of the 1970s, launched the career of heavy metal icon Glenn Danzig, and recently celebrated their fortieth anniversary. Over the course of the past four decades, they've had three major frontmen, nearly twenty total members, and plenty of highs and lows as far as fans and critics are concerned. However, things have now come full circle, with the "Original Misfits" coming back together for what appears to be one last series of shows before they ride off into the sunset. In true punk rock fashion, the band has released countless EPs, singles, compilations, and live albums over the years, but have only put out seven studio albums. Nevertheless, these albums play an essential part in making up the band's nigh-immortal legacy. 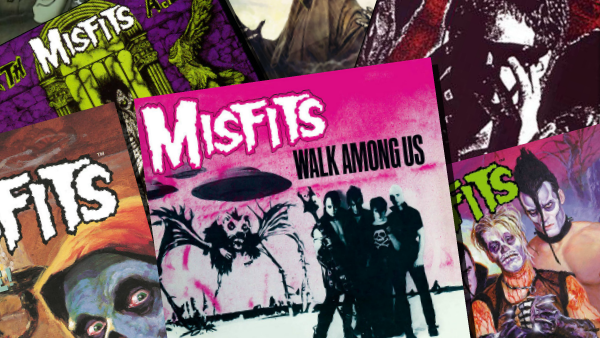 So, with Danzig and company seemingly preparing to close the book on the Misfits once at for all, it seems like the perfect time to take a look at these albums and decide which best represent this iconic group at their very best.